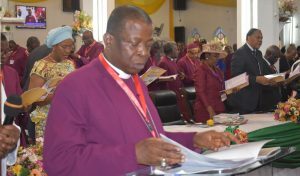 The Archbishop, Metropolitan and Primate of All Nigeria (Anglican Communion), His Grace, Most Rev. Nicholas Okoh has commended the dogged courage and determination of the abducted Dabchi Secondary School Girl, Leah Sheribu for being steadfast and not renouncing her faith and believe in Jesus Christ. The Most Rev. Okoh said Leah Sharibu is symbol of a Good sermon to Christians and nobody can preach the gospel more than as she has done despite being in captivity in the hands of Boko Haram. In his message to Nigerians towards the February 16 Presidential and Nattional Assembly elections and March 2 Governorship/House of Assembly elections, he urged them to vote those they want without fear. 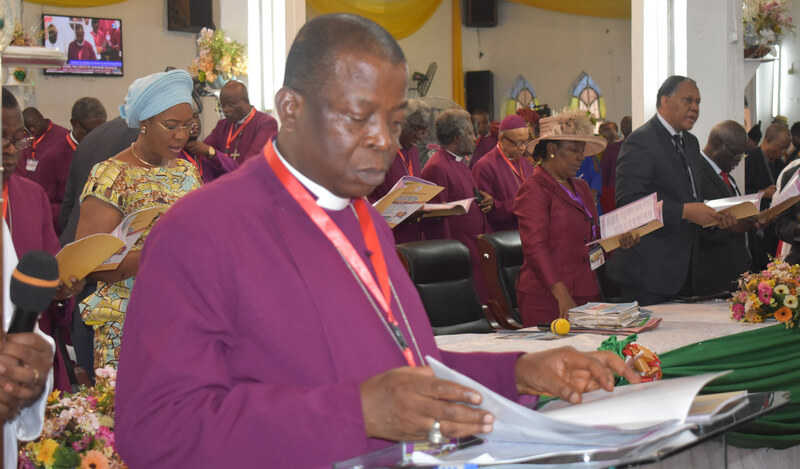 The Anglican Primate commended Bendel Province and Warri Diocese for hosting “very well” without hitches, he charged the people of Sapele Diocese to forgive one another because nobody is perfect in life. He stressed that with the upcoming general polls there will be no bloodshed and advised politicians to be fair, just and sincere. He advised the Independent National Electoral Commission (INEC) to conduct free, fair and credible elections. The number I Anglican strongly condemned gay marriage in the Church, noting that “we don’t want gay in Anglican Church in Nigeria, if gay exist anyone involved needs deliverance, it is not biblical and not natural; he stated.